From Wikipedia: “Andrew Lang (31 March 1844 – 20 July 1912) was a Scots poet, novelist, literary critic, and contributor to the field of anthropology. He is best known as a collector of folk and fairy tales. ” He wrote three classic books related to Joan: this one, a historical fiction of a Scot in France in Joan’s army, a children’s biography and an adult biography of Joan. 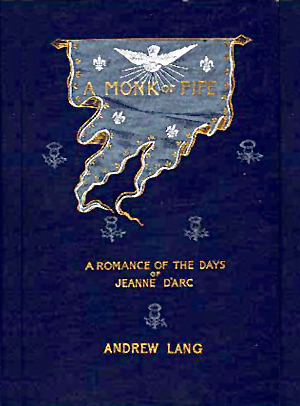 Posted in Classics, E-Book, Fiction, Free instant access, Instant AccessTagged Andrew Lang, Joan of Arc, Monk of FifeBookmark the permalink.